DAWSONVILLE, Ga. — April 15-18 is Manufacturing Week in Dawson County. During the week, the Dawson County Chamber of Commerce and the Development Authority of Dawson County will celebrate local manufacturers and industrial suppliers with staff visits to show appreciation and spotlight posts on social media. 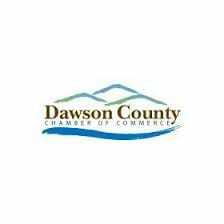 To kick off hte celebration and recognize the positive impact of local manufacturers, the Dawson County Board of Commissioners passes a resolution of support at their April 11 voting session. Manufacturers and industrial suppliers play a vital role in the local economy. In Dawson County, the average annual wage for manufacturing-based employment is $10,000 more than the overall county average annual wage. Additionally, manufacturing facilities place a low burden on public services, enhance the diversity of the tax base, provide support to local nonprofits and enrich the education of local students through work-based learning initiatives. The Chamber recognizes that saying “thank you” to business and industry does not end with one week of appreciation. The Chamber staff and board in partnership with the Development Authority continues to work year-round to foster growth in the manufacturing sector to help connect these businesses to the community at large. Manufacturing growth in Dawson County will provide additional opportunities for citizens to work closer to home for a better wage and improved quality of life. Manufacturing Appreciation Week is an annual event, co-hosted by the Technical College System of Georgia and the Georgia Department of Economic Development and brings attention to the tremendous contribution manufacturing makes in Georgia’s economic growth. According to the Georgia Department of Economic Development, more than 9,000 manufacturing facilities exixt in Georgia. These businesses provide 396,339 jobs, generate more than $23.1 million in wages for Georgia’s citizens, and contribute more than $100 billion to the state’s economy each year. Please follow @dawsonchabergram on Instagram and @dawsoncountychamber on Facebook to learn more about local manufacturing firms as they are spotlighted during Manufacturing Appreciation Week. The Dawson County Chamber of Commerce represents more than 490 members in the North Georgia region. The organization exists to fulfill the mission of “cultivating a successful economic environment and a desirable quality of life for our businesses and community.” Located just north of the intersection of Georgia 400 and Highway 53, the Dawson County Chamber of Commerce and Office of Tourism Development provides a Welcome Center and visitor, business, and economic development information to visitors, local citizens, and businesses. For additional information about Georgia’s Manufacturing Appreciation week, please visit http://www.georgiamaw.org/.